7. Begin stitching the sleeve of the top under piece to the back where indicated above. Then stitch the bottom of the sleeve and the side. 9. Finish stitching the second side seam and knot. 10. 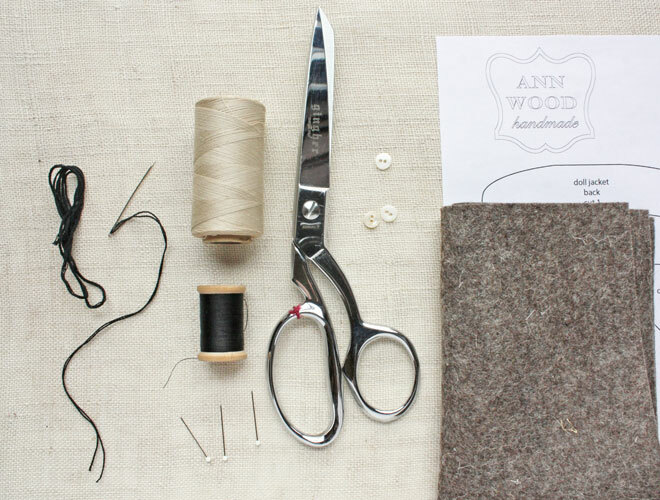 Optional – stitch around all the raw edges. To finish add a tiny button at the shoulder of the front under piece (be careful to stitch only through one layer) and tie a piece of embroidery thread to the corner of the top piece. She is little but she means business. I hope you make lots of tiny jackets! Find more free patterns to try here. Thank you so much! You are so generous. And I love the pink print fabric for the rag doll. It’s such a sweet choice. I enjoy making felt with my small felting machine. You’re giving me such ideas! Thanks for the patterns and the creative nudge. Love the new jacket pattern. 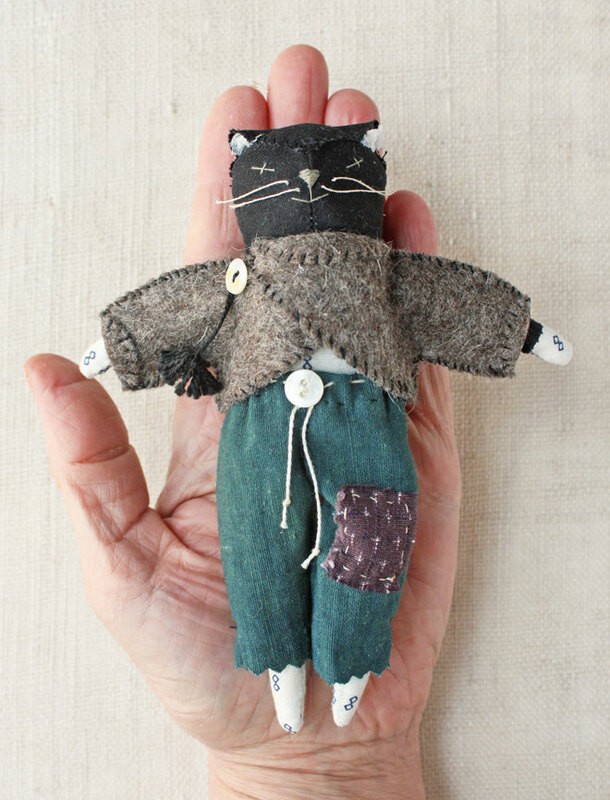 I have the pattern for the little doll and cat, and now have a whole wardrobe to keep them warm. Thank you. I eagerly await your new blogs. I love your creativeness. What a lovely little jacket. 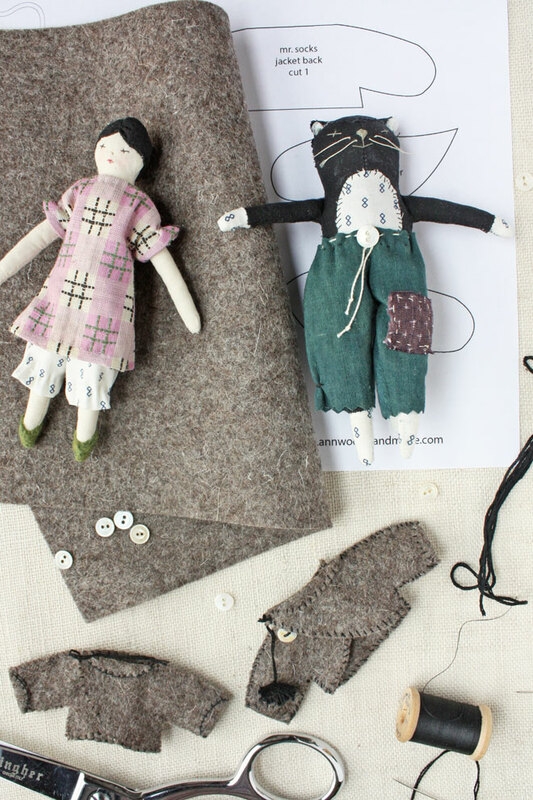 I’m looking forward to making them for my tiny rag dolls. Thank you! Thank you, thank you!! I so enjoy making Tiny Rag Doll and Mr. Socks,,, adding to their wardrobe will be so fun!! So sweet and generous of you. Warm winter coats, hats, and perhaps a warm scarf. Just in time for the inclement weather! Thank you so much! I foresee many tiny jackets in my future! Hmmm…I wonder if I could scale it up to my size? Oh my word!! This has come at such a terrific time…Thank you so much. 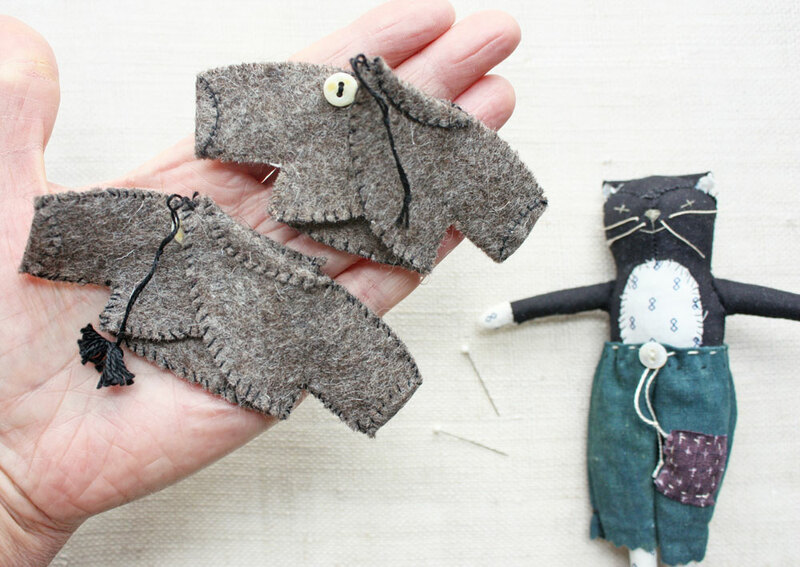 I am really enjoying the making of your tiny rag dolls. The pattern is a great design. And I am sure that this tiny jacket will be received with many cheers….! Because, let’s be honest, which lady doesn’t like a brand new coat, designed by you! Thank you so much Ann! My mom gave me the doll and mr. boots kits for Christmas this year. 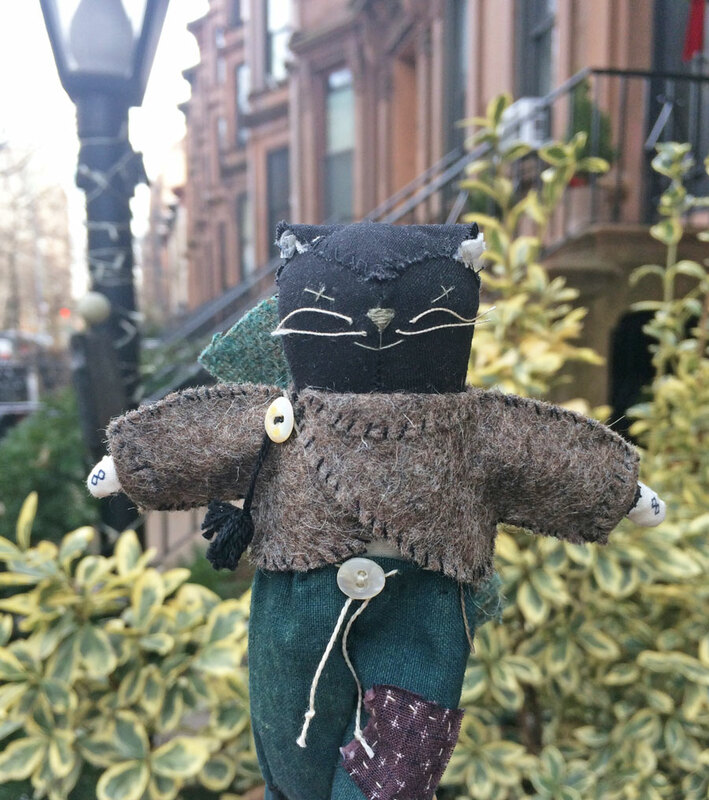 How generous of you to offer a warm coat up for the wee creatures during this cold New England winter. I love them. I’ve found that thrift stores and consignment shops are wonderful places to find soft, well worn fabrics for tiny dolls wardrobes. 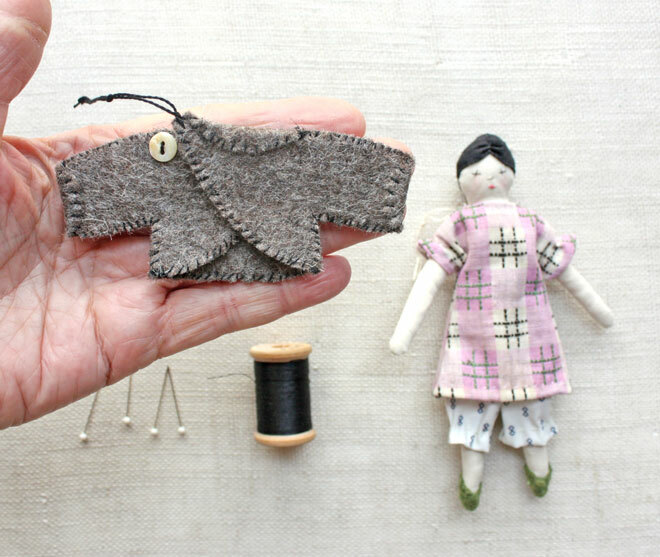 Most store-bought fabrics are too stiff for tiny dolls. Shop with your fingertips as much as with your eyes. Ladies handkerchiefs are perfect for soft underthings. Some have tiny embroiled flowers and many have scalloped edges that are quite lovely. Thank you so much Ann for this free pattern, it is very kind of you! If i was to print this onto A4 paper what size doll would it fit? I have a 6 inch doll. Would i need to scale the pattern? If so what scale? Also would felt be suitable for this? Hi Carina – Yes, it is designed for felt. 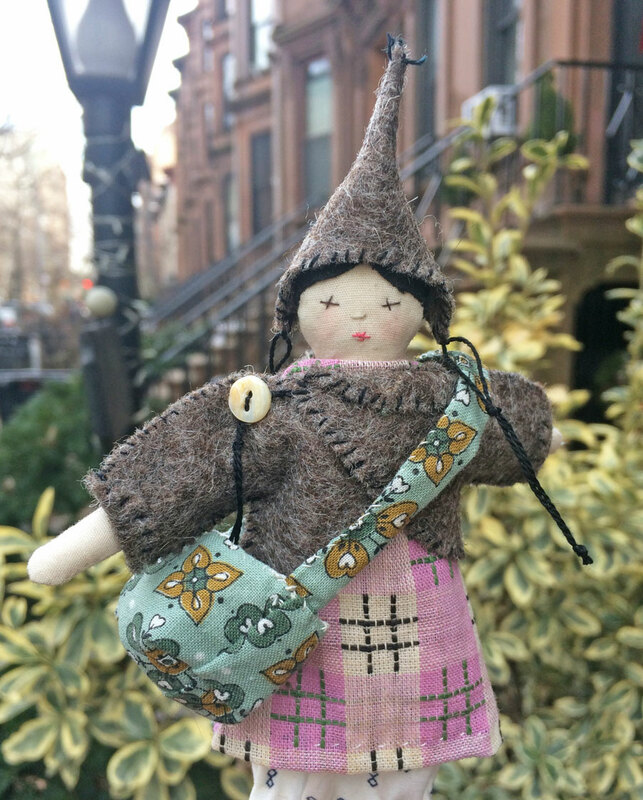 The coat was designed for my tiny rag doll and mr. socks dolls. The simple pattern scales easily if you would like to use it for other dolls but I can’t give you a specific percentage. I have printed the pattern to A4 paper size so will see how it turns out. Could you send me the pdf for the bloomers as well as i cant seem to download it properly. Good luck with your little felt jacket. I have tried to purchase the pattern but every time i try i get as far as putting in my card details and the website crashes. I was wondering if you could email me the pdf for the bloomers pattern as a goodwill gesture. I will send over images of the completed article which i would be happy for you to use on your website free of charge. Similarly i would also send over images of the jacket as well. 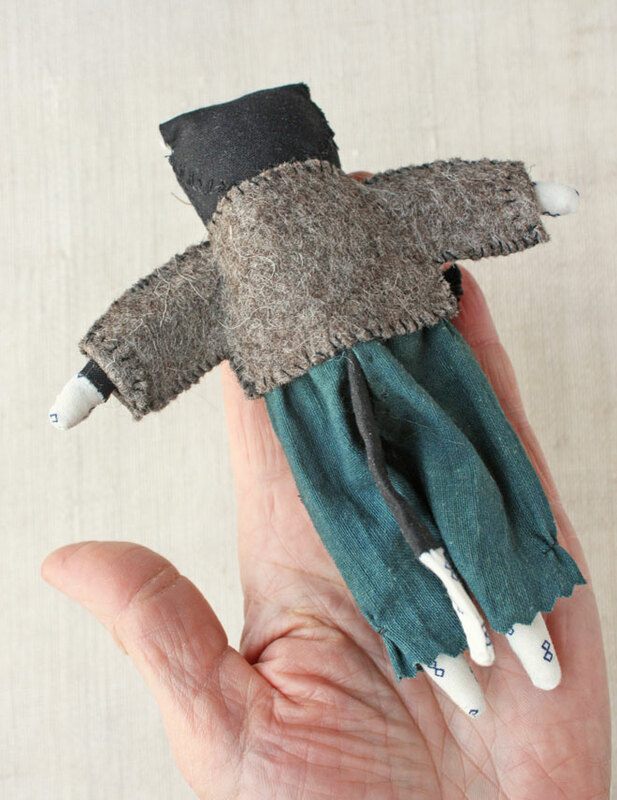 I will send over an image of the completed doll jacket shortly but i was wondering how much it would cost for me to buy just the patterns and instructions for the clothes for the little doll either on pdf or paper. Hi Carina – sorry, the clothes are not available as a separate pattern.